A cosmologist by profession, my name is Dhiraj Kumar Hazra. I am presently a PCCP fellow at Laboratoire APC - PCCP, Université Paris Diderot, France. ∘ Possible deviations from concordance model of cosmology, model independent reconstruction of primordial power spectrum, deviations from slow roll inflation and generation of features in the inflationary perturbation spectrum. ∘ Origin and signatures of primordial bispectrum during inflation and preheating. ∘ Exploring the cosmological degeneracies within CMB observations, hunting down the possible systematics in the CMB data. ∘ Simulation of the large scale structure of the Universe. ∘ Constraining late time nature of dark energy. ∘ Estimation of high redshift quasar continuum and probing the role of the continuum on the cosmological parameters. Below I list my published/accepted works in refereed journals, in reverse chronological order of publication. D. K. Hazra, A. Shafieloo, G. F. Smoot and A. A. Starobinsky, Primordial features and Planck polarization, JCAP 1609 (2016) 009. S. Appleby, J. -O. Gong, D. K. Hazra, A. Shafieloo and S. Sypsas, Direct search for features in the primordial bispectrum, Phys. Lett. B 760, 297 (2016). 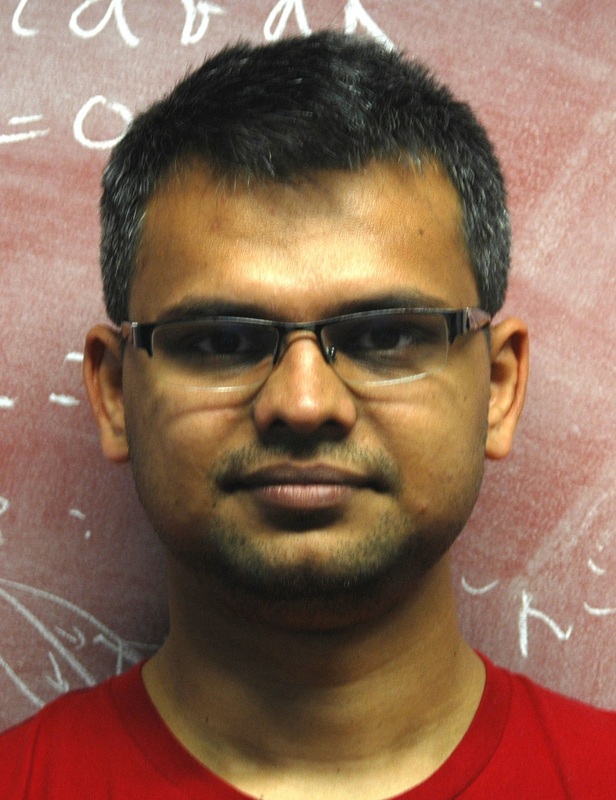 D. K. Hazra, A. Shafieloo, Search for a direction in the forest of Lyman-α, JCAP 1511 012 (2015). D. K. Hazra, S. Majumdar, S. Pal, S. Panda, A. A. Sen, Post-Planck Dark Energy Constraints, Phys. Rev. D 91, 083005 (2015). V. Sreenath, D. K. Hazra, L. Sriramkumar, On the scalar consistency relation away from slow roll, JCAP 1502 029 (2015). D. K. Hazra, A. Shafieloo,Tarun Souradeep, Primordial power spectrum from Planck, JCAP 1411 011 (2014). J. Martin, L. Sriramkumar, D. K. Hazra, Sharp inflaton potentials and bi-spectra: Effects of smoothening the discontinuity, JCAP 1409 039 (2014). D. K. Hazra, A. Shafieloo, G. F. Smoot, A. A. Starobinsky, Wiggly Whipped Inflation, JCAP 1408 048 (2014). D. K. Hazra, A. Shafieloo, G. F. Smoot, A. A. Starobinsky, Whipped inflation, Phys. Rev. Lett. 113, 071301 (2014) [Editors' Suggestion]. D. K. Hazra, A. Shafieloo, G. F. Smoot, A. A. Starobinsky, Rulling out the power-law of the scalar primordialspectrum, JCAP 1406 (2014) 061. D. K. Hazra, A. Shafieloo, Confronting the concordance model of cosmology with Planck data , JCAP 1401, 043 (2014). D. K. Hazra, A. Shafieloo, Test of Consistency between Planck and WMAP, Phys. Rev. D 89, 043004 (2014). D. K. Hazra, A. Shafieloo and G. F. Smoot, Reconstruction of broad features in the primordial spectrum and inflaton potential from Planck, JCAP 1312, 035 (2013). D. K. Hazra, A. Shafieloo and T. Souradeep, Cosmological parameter estimation with free-form primordial power spectrum , Phys. Rev. D 87, 123528 (2013). D. K. Hazra, A. Shafieloo and T. Souradeep, Primordial power spectrum: a complete analysis with the WMAP nine-year data , JCAP 1307, 031 (2013). D. K. Hazra, L. Sriramkumar and J. Martin, BINGO: A code for the efficient computation of the scalar bi-spectrum , JCAP 1305, 026 (2013). M. Aich, D. K. Hazra, L. Sriramkumar and T. Souradeep, Oscillations in the inflaton potential: Complete numerical treatment and comparison with the recent and forthcoming CMB datasets, Phys. Rev. D 87, 083526 (2013) . T. Guha Sarkar and D. K. Hazra, Probing primordial non-Gaussianity: The 3D Bispectrum of Ly-α forest and the redshifted 21-cm signal from the post reionization epoch, JCAP 1304, 002 (2013). D. K. Hazra, Changes in the halo formation rates due to features in the primordial spectrum, JCAP 1303, 003 (2013). D. K. Hazra and T. Guha Sarkar, Primordial non-Gaussianity in the forest: 3D bispectrum of Ly-alpha flux spectra along multiple lines of sight , Phys. Rev. Lett. 109, 121301 (2012). D. K. Hazra, J. Martin and L. Sriramkumar, The scalar bi-spectrum during preheating in single field inflationary models, Phys. Rev. D 86, 063523 (2012). D. K. Hazra, M. Aich, R. K. Jain, L. Sriramkumar and T. Souradeep, Primordial features due to a step in the inflaton potential, JCAP 1010, 008 (2010).